Online Support for the IBM i and z/OS Security Solutions will be moving to Syncsort’s ‘MySupport’. On 01/14/19, affected support site users received an email regarding log-in credentials and access to MySupport. 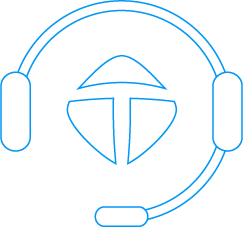 PRODUCTION DOWN: If you own Townsend Security 24x7 support and have a production down issue outside normal business hours (6:30am-4:00pm Pacific) please call 800-349-0711, start a ticket, and provide details. International customers, please dial +1 757-278-1926. "Townsend Security is a full service security provider that remains on the cutting edge and has demonstrated exceptional customer service." At Townsend Security we are always updating the software you use to add new features and correct anomalies. If you haven’t updated your software in a while, it’s time to do a little housekeeping! Below is a table of software releases and their end-of-support (EOS) dates. If you have an older release, login here to download the latest version of the software. As always, you can contact our Customer Support team for help in finding and downloading the latest version. Remember, current customers with a maintenance contract receive new releases free of charge. If you have any questions, or need help with support, please don’t hesitate to ask. If you are running a version of software that we are no longer supporting, our support team will request that you upgrade the product prior to providing any troubleshooting services. We’re taking this step to decrease the number of occurrences where a customers requests support for a problem that has already been fixed, and to lower customer’s overall wait time with support.